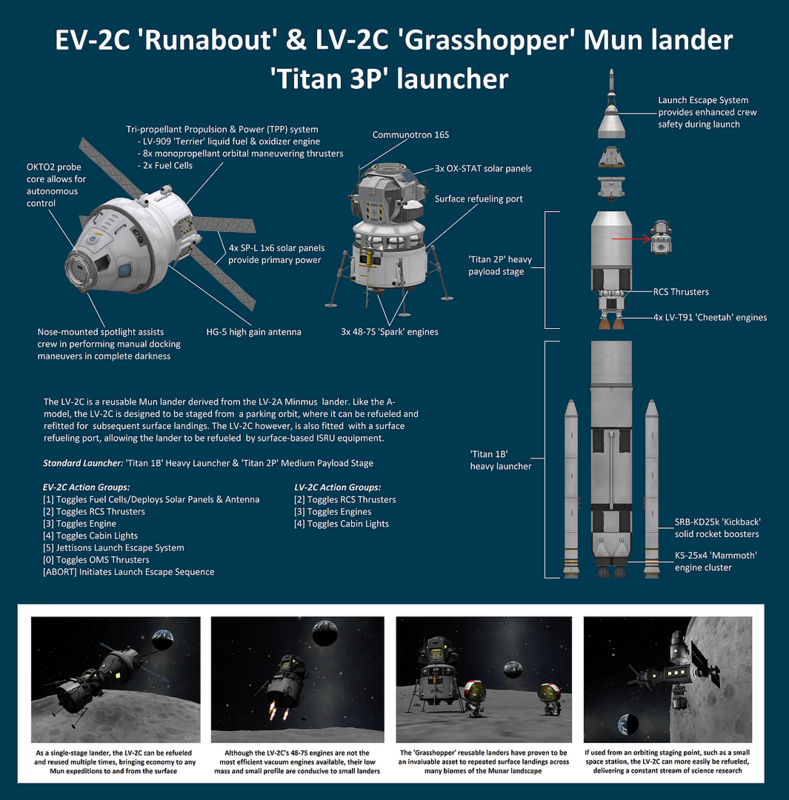 The LV-2C is a reusable Mun lander derived from the LV-2A Minmus lander. Like the A-model, the LV-2C is designed to be staged from a parking orbit, where it can be refueled and refitted for subsequent surface landings. The LV-2C however, is also fitted with a surface refueling port, allowing the lander to be refueled by surface-based ISRU equipment.